Grand Theft Auto V has now shipped a mind-melting 90 million units worldwide, meaning that it added a dizzying 15 million units to its tally in 2017 alone. This means that it comfortably outsold many of last year’s big new releases, despite the open world title first deploying in 2013. It’s a staggering result for a title that clearly still has life left in it. Not only that, but December 2017 was the biggest month ever for Grand Theft Auto Online, a feat which it seems to achieve with regularity. 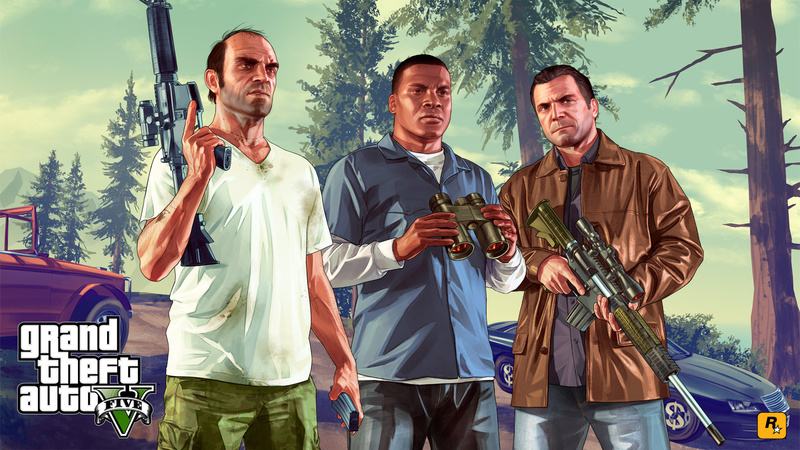 According to Take Two, the multiplayer mode had more active users than ever before during the aforementioned period, and continues to drive “recurring consumer spending” through microtransactions. Rockstar’s committed support to the online mode through 2018 and beyond, so expect GTAV’s sales to continue to increase with frightening pace. The company must be rubbing its hands together at the prospect of Red Dead Redemption 2’s impending October release. Perhaps the real reason for Red Dead 2’s delay. Why upset the applecart and run the risk of cannibalizing your own success? Insane numbers. 15 million in 2017! That's bananas. @Th3solution Doubt it, but they're certainly in no rush to put out a new game. They've got the freedom to make sure RDR2 is perfect. And if it ever runs out of steam, they can release a Switch port. Good lord, it never ends. While I understand the appeal and what is driving this success, I still find it amazing it sells this well. At some point, somehow, I will be the only person who has not bought it and it will be a little like being the dude in I Am Legend. It's amazing how it's still selling so well! Stories like this make me fear the future of gaming, though... Hard to argue against service-based games when they sell like that. But back to Rockstar, if they release another great MP mode in RDR2 (which they definitely will do), then I think these numbers might fall and we'll be talking about RDR2's numbers for 5+ years. GTAV was a fantastic game, but I hate how the mp aspect encouraged the whole rise of "games as a service," which I see as primarily toxic to the industry as a whole. Games as a service should remain as a minority of gaming products, not the mainstream focus. I am one of the 5 people who play videogames but haven't played or bought it. I might buy it sometime this year, but probably second hand seen as there're nearly 90 million of them in the wild! I've never really been into GTA games. I think they're technically amazing, and the city worlds they've created are sublime, but I just get bored of them once I've beaten up enough civilians. Not really into the missions and story that I've tried, I feel like I'm controlling a chav and it's too 'hip-hop'. Now if they did a remake of Vice City with its 80's soundtrack and Scarface vibe, that would be a different story. Not played it yet. Plan to. @Kogorn733 But GTA V was not the first one, the responsible are mobas, games made by Valve and smartphone games. We should "thank" them. I haven't bought it and no gamer I know has bought it. Who are these 90 million people? I still think it's a great game, but I can't accept the fact that Rockstar focused so much on the mp and didn't release a single dlc for the campaign. Yes, I know that i'm being repetitive and can't argue about the money made by this practice. If Red Dead Redemption 2 doesn't have a great narrative like the first game and focus entirely on mp, it will be a disappointment for me. @Rudy_Manchego @Bad-MuthaAdebisi @GravyThief Actually I’m one of the few GTAV abstainers also and at this point I don’t think I’ll ever play it. But for some reason I feel excited to play RDR2. I know, doesn’t make sense, but I hope it has the staying power of GTAV. Brilliant game of course but - "and continues to drive “recurring consumer spending” through microtransactions" is just depressing :-/ I wish people wouldn't spend money on microtransactions. Oh well. @PS_Nation I echo your comment. I don't play GTA online or any other online title & was disappointed no single player story expansion was released. I'm looking forward to RDR2, but not if the single player falls short of the previous title which I still play on my 360 sometimes. I feel let down on the DLC front with GTA 5 SP DLC is what I wanted like past games had. the online part of GTA does nothing for me. Rockstar is my favorite developer by a margin now! they take so long to make a game these days:( they have a lot of good studios loads of money to make games yet snail pace is what we get now? I still wonder if GTA will become the best selling franchise of the VG industry? It's an awesome game and great to see it have this success. But count me as one of those disappointed Rockstar never followed through with some single player DLC. @Th3solution @Rudy_Manchego @Bad-MuthaAdebisi @GravyThief Another non-player of GTAV here. The five of us against the world, it would seem. It is frustrating to see all the recent attacks against microtransactions and corporate greed in gaming, yet very few have highlighted GTAV as an example where single player wants / needs were clearly abandoned in favour of milking the online multiplayer modes for people's pennies... but I guess we don't go after things that are considered "good" by the critics and talking heads. Am looking forward to Red Dead Redemption 2, simply because the Wild West setting gives the poor morals and murderous gameplay of a Rockstar sandbox some historical precedence and context. I still haven't bought it. Are these people even buying it for the story anymore? I've been playing it again recently and decided to go for the platinum, since the online trophies carried over from PS3. It's good (possibly better second time around) but I've got a few issues with it. Also, was at Asda the other day and the guy in front of me at the checkout had it in his shopping. Just felt like mentioning that. i bought it (so am among the 90 million), but didn't like it at all. I feel the same. Never bought a GTA but love RDR. I love Westerns and I look forward to play the sequel. Purchased week of release, online since Nov. 2013, and copies for PS3 and PS4. I take short and long breaks but after over 4 years i still come back to online play and to experience the online free updates and dlc. 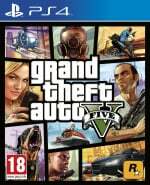 Overall i find Gta 5 an amazing game in single player and online. Gta online has a certain je ne sais quoi that is addictive. The continued success and total sales numbers of Gta 5 is amazing, but understandable by a larger percentage of those that have played it. @3MonthBeef I wouldn't be surprised if people are buying it just for the online. Not to mention this was bundled with the PS4, so that explains the massive flux of sales.